From Laura Dave - the author of the "addictive" (Us Weekly), "winning" (Publishers Weekly), and critically acclaimed best seller Eight Hundred Grapes - comes a new novel about the secrets we keep...even from ourselves. Sunshine Mackenzie truly is living the dream. A lifestyle guru for the modern age, Sunshine is beloved by millions of people who tune in to her YouTube cooking show, and millions more scour her website for recipes, wisdom, and her enticing suggestions for how to curate a perfect life. She boasts a series of New York Times best-selling cookbooks, a devoted architect husband, and a reputation for sincerity and kindness - Sunshine seems to have it all. But she's hiding who she really is. And when her secret is revealed, her fall from grace is catastrophic. What Sunshine does in the ashes of destruction will save her in more ways than she can imagine. In our modern world, where celebrity is a careful construct, Laura Dave's compelling, enticing novel explores the devastating effect of the secrets we keep in public...and in private. 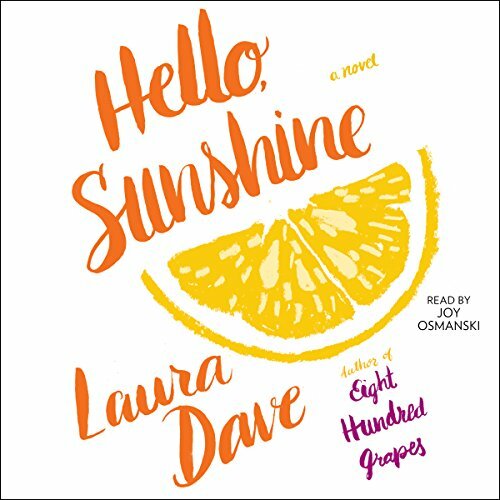 Hello, Sunshine is a fresh, provocative look at a woman teetering between a scrupulously assembled life and the redemptive power of revealing the truth.